Whatever happens in the presidential election, the plan for a Donald Trump TV station is far from fanciful. Indeed, it might make extremely lucrative sense. The odds are, if you believe the polls, that Donald Trump will never be president. But there is more than a possibility that the reality show billionaire will start his own television network shortly after the election. Certainly not former CNN President Jonathan Klein—although Klein, the co-founder and chief executive of TAPP Media, a personality-focused network of online video channels, says Trump’s best television play is in the subscriber-based digital world rather than advertising-supported basic cable. “I would say Trump has all the necessary ingredients to be a huge a success with an ‘over-the-top’ model, not just in terms of his personality but also in terms of paid subscriptions,” Klein told The Daily Beast, using the term of art for video that viewers consume on demand via digital devices and smart TVs. Trump, who has been a pop-culture fixture for more than three decades and the star of NBC’s long-running Apprentice series (developed by Klein’s TAPP Media co-founder Jeff Gaspin, the former chairman of NBC Universal Television Entertainment), surely has enough media firepower to build such an enterprise. No less a figure than Roger Ailes, the ousted chairman and creator of the Fox News Channel, is reportedly advising Trump on presidential debate preparation and other matters. Ailes, who was forced to resign from Fox News last month amid a sexual harassment lawsuit and multiple similar allegations from current and former female employees, became a television mogul after a legendary career as a Republican political consultant. And this week Trump named as his campaign chief the executive chairman of the angry-populist, Trump-touting media juggernaut Breitbart News. Stephen K. Bannon, a former Goldman Sachs banker and Hollywood producer, is also a right-wing documentary filmmaker who has lately been hosting his own daily radio show on SiriusXM. Bannon, a man given to expressing outrageous notions, often punctuated by foul language that insults women, gays, and minorities, has told associates that one of his cherished ambitions is to become “the next Roger Ailes,” according to sources. Among the potential investors in Trump TV, said this person, are hedge fund billionaire Robert Mercer and his daughter Rebekah—who are already major financial backers of Breitbart—and even, although less likely, the Koch brothers, with whom Bannon privately has said he has also been talking. Politically active industrialists Charles and David Koch are no fans of Trump’s nationalistic, trade-hostile, Muslim-banning rhetoric, yet still might be induced to back a profitable media venture named after their nemesis, said the TV entrepreneur. Indeed, prior to formally joining the Trump campaign (although Bannon’s critics argue that he was already a Trump operative, having turned Breitbart News into “TrumpBart” or “Trump Pravda”), he was talking up the notion that a new media startup needn’t be especially ideological. Of course, if Donald Trump were the vehicle, the new enterprise’s natural audience would draw upon the 13.3 million people who voted for him in the Republican primaries and however many tens of millions end up supporting him in the general election. While many high-end advertisers would be apprehensive about associating their brands with the controversy naturally generated by Trump—a probable reason the PGA tour withdrew from Miami’s Trump National Doral golf club in June—the entrepreneur said direct-response advertising could take up the slack. Depending on Trump TV’s launch strategy, it might require many millions of dollars for a basic cable ad-supported play to compete with Fox News or, perhaps more realistic, far less money for the over-the-top digital subscriber-supported model. The TV entrepreneur outlined a basic cable scenario for Trump TV that might, at first blush, seem fanciful—yet 2016 has been a year in which the supposedly fanciful has actually occurred, namely a formerly pro-choice libertine Democrat becoming the standard-bearer of the socially conservative Grand Old Party. Given the difficulty of acquiring a channel on the already crowded menu carried by cable distributors—“bandwidth is an issue for most cable operators,” said the entrepreneur—the best solution would be to take over the distribution platform of an existing network such as right-leaning Newsmax. Until recently, Newsmax reached approximately 60 million households through the satellite cable systems of Dish and DirecTV, for which Newsmax was paying a premium—around $10 million annually for each, according to the entrepreneur (although Newsmax chief executive Chris Ruddy declined to comment on those figures). In recent months, however, both carriers dropped Newsmax’s programming, which Ruddy says currently reaches around 10 million households nationally on Verizon Fios and some 40 local cable systems, plus an estimated 100 million viewers via online video. If Trump TV reached an audience, within five years, of from 30 to 40 percent of Fox News’s viewership, and managed also to attract a younger demographic than Fox’s geriatric median age —an admittedly high bar—the new network would become a sustainable business, said the entrepreneur. An obvious glitch in the above scenario is that 21st Century Fox, Fox News’s parent company, firmly believes that Roger Ailes’s recent departure with a $40 million golden parachute holds him to a strict non-compete clause that prevents him from participating in any such venture on even the most informal, behind-the-scenes terms. “I’m sure that’s what it says on paper,” the entrepreneur said with a laugh. Another source said that Ailes’s severance package is not a lump sum but a figure to be paid out over several years, and that if the 76-year-old Fox News founder chose to forgo those payments (he is already enormously rich), he could try to disregard his non-compete clause—although any such tactic sounds like an employment program for lawyers. Ruddy, meanwhile, expressed a decided lack of interest. 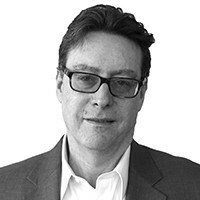 Klein, referring to the idea of Trump TV on cable, noted that “there are a lot of ifs in that scenario,” and argued that Trump should launch his network as soon as he can, while he is still a hot commodity and his followers are filled with passionate intensity—maybe even in the middle of the presidential campaign to capitalize on those feelings.